At Fairway GPO, we understand that your operational needs are unique to your business, which is why we strategically curated our core Business & Industry contract portfolio to address your purchasing requirements. 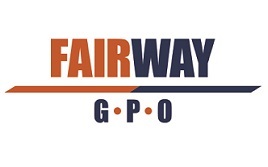 From office supplies and promotional products to shipping and background checks, Fairway GPO can help you save. We are a leading group purchasing organization delivering procurement solutions, supply chain efficiencies, and greater operating margins to our members nationwide. In addition to serving business and industry, Fairway GPO also has a successful history of improving overall operating efficiencies for healthcare providers, hotels, property management companies and K-12 schools. No matter what your industry, Fairway GPO can help give you an edge by saving you money on the products and services you already use! Through our affiliation with Innovatix, one of the nation’s largest GPOs, we are able to help members achieve savings by aggregating a total membership purchasing volume of $45 billion to negotiate discounts and other incentives from suppliers.